Rev. Carol McKinley, B.A., M.Div. 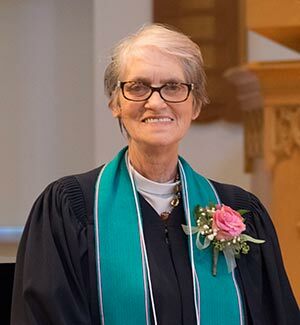 My name is Reverend Carol McKinley and I have had the honour of serving as a pastoral minister at Plattsville/Washington in South West Ontario, Queensville United Church in Queensville, Ontario, Countryside United Church in Thornton, Ontario and a contract position at Toronto Conference. I am blessed to say that on September 6, 2016, I start a new call with the people of Asbury and West. I understand there is work to be done. It is my hope that while we set goals to accomplish the work that needs to be done; we will also grow in our faith in God and grow as community. A little back ground on myself: I completed my undergraduate degree at York University and my Master's of Divinity at Emmanuel College, Toronto, Ontario. I have three grown children and three grandchildren. I love to read, garden and play the piano. Just recently I started taking Yoga classes. This undertaking is a work in progress. Last but most importantly, I am married to Rick McKinley. Rick and I live in Newmarket, Ontario and we have a yellow lab named Dixie Lee. Rick and I both love the United Church and like to travel. 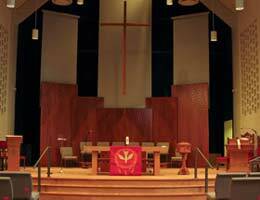 I am looking forward to getting to know the people of Asbury and West United Church and being active in the community.